This year, 2018 marks Dover Realty's 57th year as a Real Estate Brokerage in Dahlonega, Georgia. Founded in 1961 by Vinson Dover, the company has been owned and operated by the same family since. Today, Vic Dover and Melissa Dover are the second generation owners. 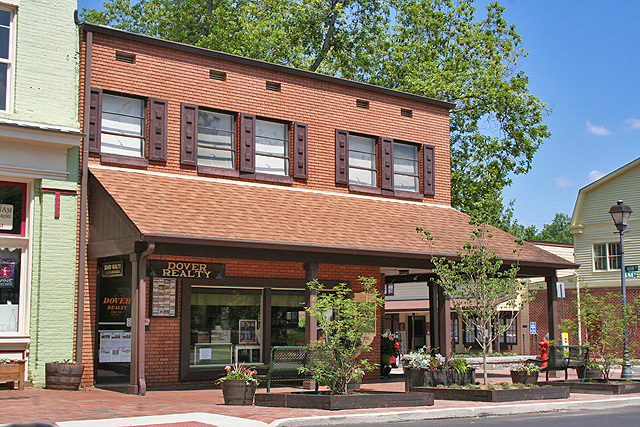 Dover Realty is a full service real estate brokerage located in downtown Dahlonega, Georgia. The focus of our business has always been on providing the highest level of expertise, integrity and personal service. Real Estate is our full time and only business. We transact in all types of real estate and represent both Buyers and Sellers. In working with us you are always dealing with the company owner. Despite all the consolidation and branding of the real estate industry we have remained independent with a hands-on operation of the business. Through us you have the ability to view any property listed for sale, not just the ones on our website. We have access to all the information on every property available and with our knowledge of the area can locate a property based on your specific criteria. You are never asked to sign any documents before viewing properties or obtaining information through us. We welcome to show any property in person and to show the property lines and corners, to answer all questions, to offer expertise and to assist in all aspects of the purchase. When you list your property for sale with us your file is always on top of our desk and in the forefront of our minds. Your property is always represented in a better light; our commitment is to present it in the most ambitious manner such as to procure you an acceptable sale. We have all the tools available to us that the real estate industry offers plus the personal attention and expertise that only the company owner can provide. We do not charge you any administrative fees for the privilege of marketing your property. And we are the only real estate company with a presence on Dahlonega's Public Square - our color bulletin board (and brochures available there to take home) features our listings and is viewed by thousands of potential buyers every year. The photographs and information on our website are all of the actual properties offered for sale. We are licensed in Georgia - firm H-51876 - and encompass the entire state for acreage sized tracts of land and cover the north Georgia area for other properties. We invite you to give us a call or drop by our office located in downtown Dahlonega overlooking the Public Square. We appreciate you taking the time to view our properties and welcome the opportunity to work with you.